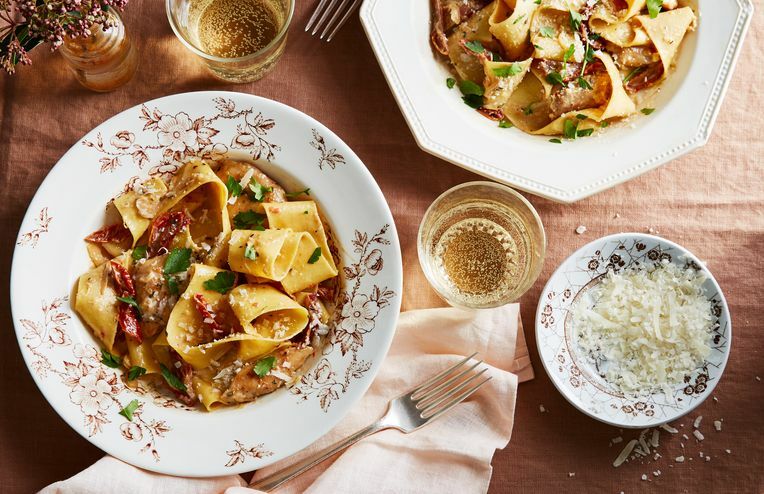 Sometimes love is a quick pantry pasta dinner. How my boyfriend and I learned to "meat" in the middle at the dining table. Made with love—and lots of vegetables. For your sweetie on Valentine's Day. Jeffrey really is the luckiest guy. Sweet presents you just might want to keep. Think about 10-15 minutes of active time. Single-serving meals for the single-serving eater. An in-office card exchange has got us feeling inspired. Regardless of whether they’re fact or fiction. Spread the love with cookies, bars, and candy. Go small and stay home. Planning ahead is romantic, right? Red, pink, and heart-shaped everything—right? Why Is This Strawberry So Expensive? Is this the most wasteful packaging you've ever seen?